Every mugger and pickpocket in the world knows that your smartphone represents hundreds of dollars in hardware and information. Here's how to protect that asset. Nothing is foolproof. But, by taking the correct precautions beforehand, you can reduce the likelihood of crooks accessing your data, and make it easier to find your phone’s location. You can even make the phone itself pretty much useless to the thieves or anyone they sell it to. I’ll stick to Android here, although the basic information, if not the exact instructions, should work with any phone or tablet. Don’t underestimate the importance of the so-called “kill switch,” which makes a stolen phone useless by requiring a password to perform a factory reset. Google made this a default feature with Android Lollipop. Again, nothing is foolproof, but the kill switch works often enough to significantly discourage thieves. According to a Consumer Reports article, the number of stolen phones dropped from 3.1 million in 2013 to 2.1 in 2014 as kill switches became popular. If you think your phone has been stolen, work fast. The sooner you follow the suggestions below, the better. Once you locate your phone, don’t try to recover it yourself. Contact the police. Playing Clint Eastwood could get you killed. Your odds of recovering your phone, or rendering it unusable, increase if you take some precautions before a theft ever happens. I’ll assume you already set up a password, PIN, or pattern lock, and that your data is backed up. Let’s get beyond that. First, put a message on your lock screen in case an honest person finds your phone. How you do this will differ from phone to phone. On a Nexus 6P, for example, you go to Settings > Security > Lock screen message. On a Samsung Galaxy Note 4, you find the field under Settings > Device > Lock Screen > Show Information > Additional Information. Enter a message asking the finder to call a certain phone number (obviously not your cellphone). Now let’s add some stronger protection. Download the Android Device Manager from Google Play. You’ll have to enter your Google account password to enable it. Should your phone be lost or stolen, visit Google’s Device Manager page. Here you’ll find options to ring the phone very loudly (even if it’s muted), lock it with a new and much harder password, or wipe all of your data. You might also want to jot down your phone’s IMEI number. This number is associated with the phone itself, not you. The thieves can format the phone and remove the SIM card, but they cannot change this number. If the phone is stolen, you can contact your service provider to blacklist the IMEI number. How do you find the IMEI number? Try dialing #06#. If that doesn’t work (it didn’t with me), go to Settings > About device/phone > Status > IMEI information. 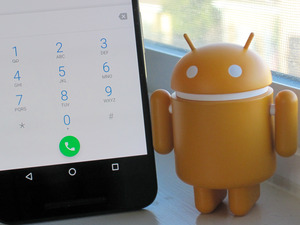 You might also want to read Ryan Whitwam’s article on Android’s Device Protection.